According to WRAP (Waste and Resources Action Programme), 50% of the food produced in the world is wasted, with the UK throwing away a massive 15 million tonnes every year. Whether it’s a microwave meal approaching its sell-by date, a wonky vegetable that doesn’t fit the supermarket standard, or ingredients in a restaurant that are never ordered – the country’s households, retailers and restaurants all contribute to this mountainous waste level by sending consumable food to a premature grave in landfill. But with each social and environmental concern comes a dedicated few looking to fix it, and we are seeing this reflected in the business landscape. Waste-battling enterprises are popping up around the globe, committed to making use of unwanted food in their own unique ways, be it via surplus-serving restaurants, the re-purposing of ‘imperfect’ produce, or apps that locate and sell leftovers. Aside from the warm fuzzy feeling you’d gain from doing something tangible to tackle a world issue, plenty of evidence suggests that battling food waste could spell business success for restaurateurs, tech entrepreneurs, retailers and more in 2017. According to Mintel, there is a huge potential market of ethically-minded consumers to tap into: “Consumers often voice green or ethical sentiments”, but short on money and/or time, they “look to manufacturers, retailers and brands to do the good work for them”. Mintel suggests that reducing food waste is becoming a primary focus for sustainability and, with more organisations addressing the problem, consumers are learning to open their hearts (and mouths) to accept food that doesn’t meet cosmetic standards, or has just passed its sell-by date. The roaring success of Fabanaise, a mayonnaise produced by US brand Sir Kensington using aquafaba – the viscous water that’s left over after draining chickpeas – bodes well for ingredients typically deemed worthless or unpleasant. The food waste issue certainly looks set to move to the forefront of public conscience this year. The government has announced plans to fill supermarkets with anti-waste signs, and The Evening Standard has pledged to shine a spotlight on food waste in the capital through its Food for London scheme. The scheme will see grants of £1,000 to £20,000 awarded to London-based groups working on food waste solutions. Big retail brands are also increasingly looking to support the cause. Retail giant Selfridges, for example, is launching a sustainability campaign which will see it stock more foods re-purposed from waste. 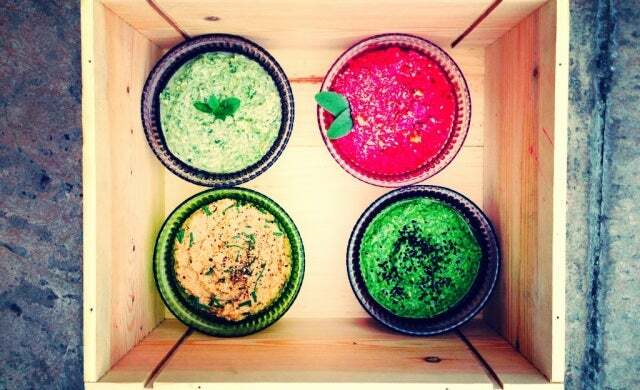 Young companies are welcome: ChicP, the UK start-up that turns surplus fruits and vegetables into flavoured hummus, will have its products stocked on the shelves as part of the campaign. With tonnes of waste food comes infinite possibilities of what to do with it. The businesses currently tackling food waste explore a diverse range of solutions, and no single organisation is truly dominating the space so there is room for entrepreneurs with fresh ideas. For the cooks among us, food waste provides an opportunity to be creative with a simple concept: to create delicious food from ingredients which would otherwise be thrown away. The key is to find your niche, ask yourself what food you’d like to produce with which ingredients. ChicP’s hummus range, for instance, was the brainchild of Hannah McCollum who would often make salads using leftovers, while Fruit Magpie founder Hazel Griffiths started to make fruit cheeses from surplus fruit after witnessing how much urban garden produce went to waste. Capitalising on the health food market with vegan or free-from products could also be a lucrative route, with Mintel forecasting the free-from market to grow to £673m by 2020. If you’d prefer to serve food to customers, a food waste restaurant could be for you. The Real Junk Food Project, a café chain that serves meals created from donated surplus food, is illustrative of the potential for success in this space. Launched in 2013 by chef Adam Smith, the business reached its crowdfunding target ahead of time and has gained traction; around 125 cafés have been set up across the UK, Europe and Australia in just three years. You could also consider setting up a redistribution service. FoodCloud, for example, enlists volunteers to rescue surplus food from over 1,000 retailers and deliver it to more than 3,000 charities across the UK and Ireland. If tech is more your thing, there is a gap in the market for innovation in food waste. Helsinki is currently leading the way in waste-battling apps with ResQ Club, which allows restaurants to sell leftover meals as discount takeaways, and Froodly, which gives users rewards for uploading photos of soon-to-expire food in local stores – allowing other users to locate, buy and eat it before it’s sent to the bin. But that’s not to say there are no advances taking place in the UK. App OLIO, for example, is connecting UK consumers with local shops and cafes, alerting users when surplus food is available for the taking. “Sustainability is the way forward; with growing populations, limited resources and a reduction in farmland, businesses such as ours are becoming ever more popular.